Rotterdam based dj and producer Lucien Foort started playing the saxophone when he was 10 years old, but being inspired by the art of turntablism and beat mixing he ventured behind the decks a few years later. And at the age of 19 Lucien Foort took the world by storm, when he released rave anthem “Quadrophonia” in ‘89. 7 months. Touring all over the world he has played at big festivals and venues like Tomorrowland, Time Warp, Creamfields, Dance Valley, Mysteryland, I Love Techno, Roskilde, Extrema, Sankeys, Pacha and Amnesia. Sharing the stage with the likes of Carl Cox, Sven Väth, Richie Hawtin, John Digweed, Ricardo Villalobos and Monika Kruse. The last few years Lucien focused on studio work and the Dutch underground scene by playing at respected venues such as Maassilo, Factory 010, Toffler, Westerunie, PIP The Hague, Club Poema, Bahn and festivals like Milkshake Festival, Boothstock Festival, Indian Summer Festival and Outdoor Stereo Festival. Which led to Lucien & Friends events and stages at Maassilo Rotterdam, Outdoor Stereo Festival and several clubs. During that period he has reinvented himself again from scratch and went back to his underground house and techno roots. His recent house and techno releases are being supported by names such as Paco Osuna, Marco Carola, Loco Dice, Sam Paganini and more. 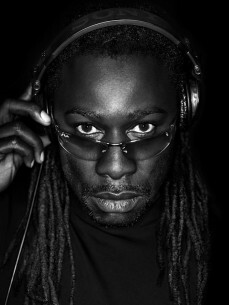 Last but not least Lucien Foort has hosted radioshows on Dutch radiostations 3FM, ID&T Radio/SLAM FM and Fresh FM. Lucien Foort is and remains a musical force to be reckoned with!